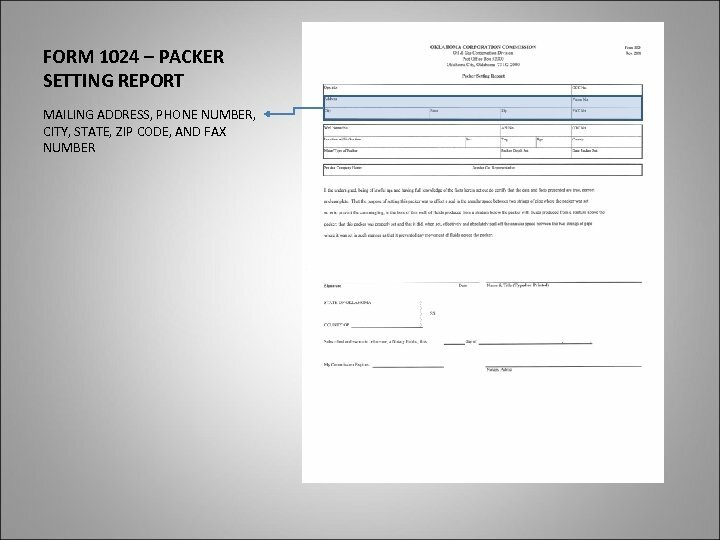 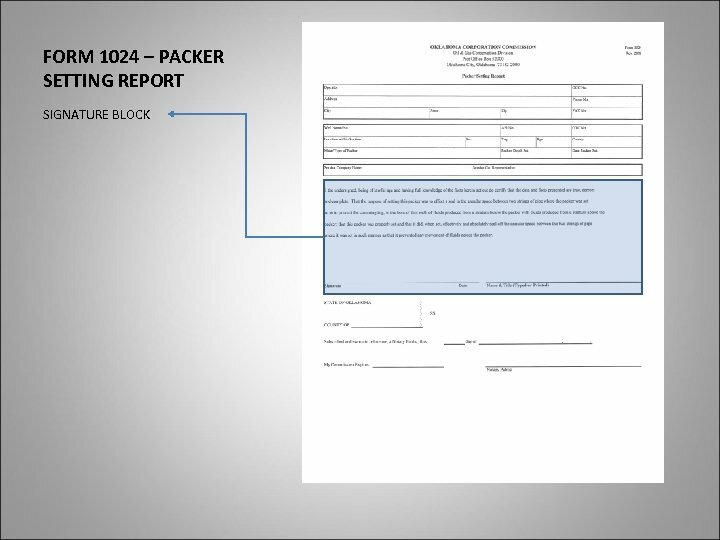 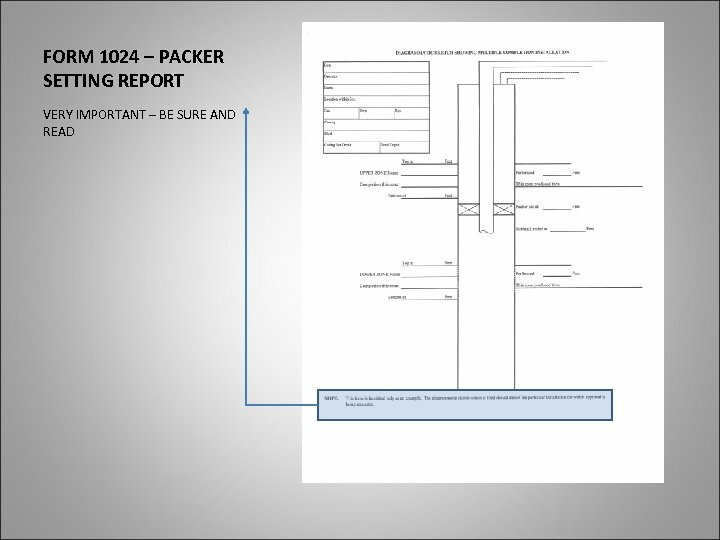 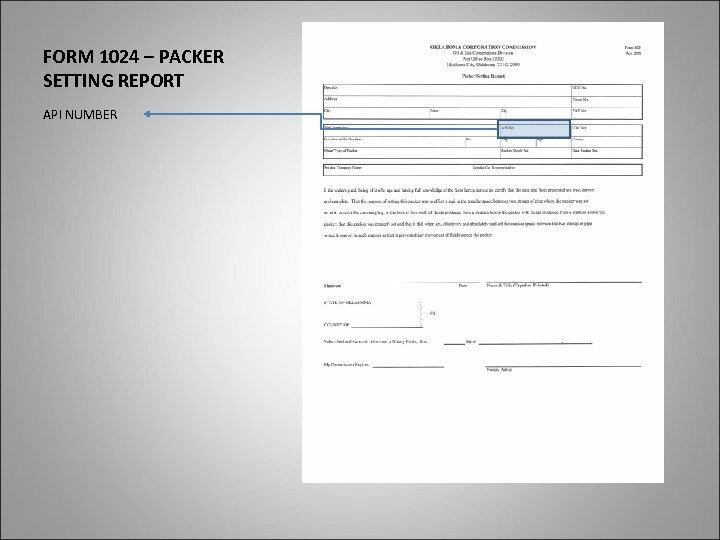 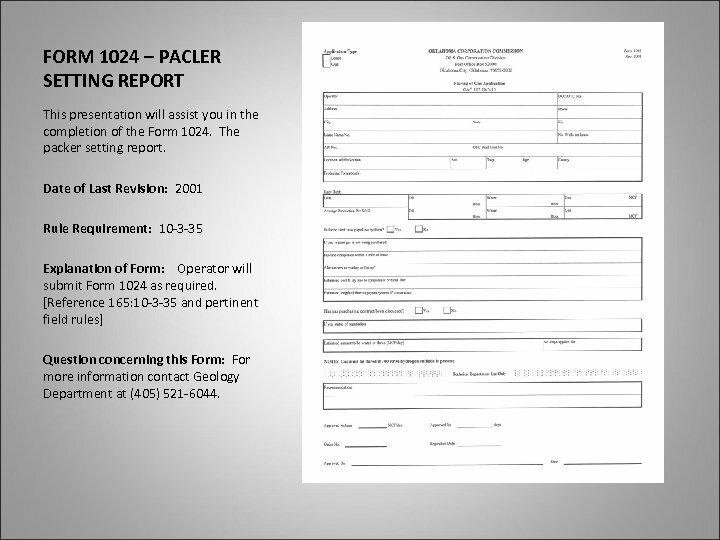 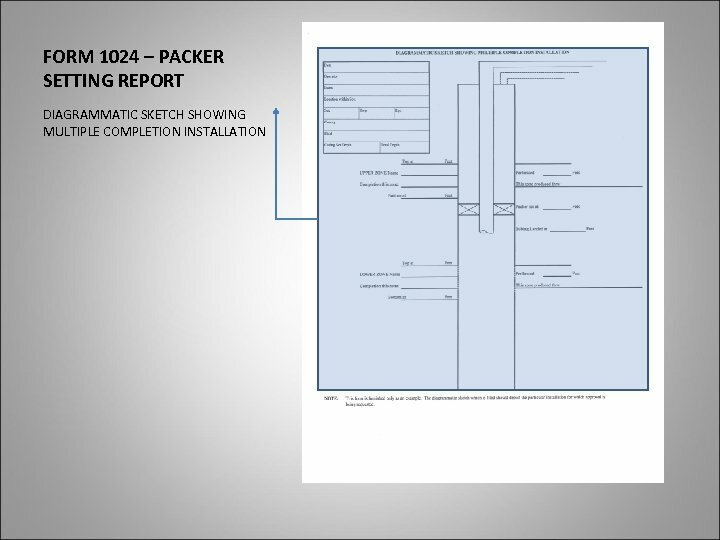 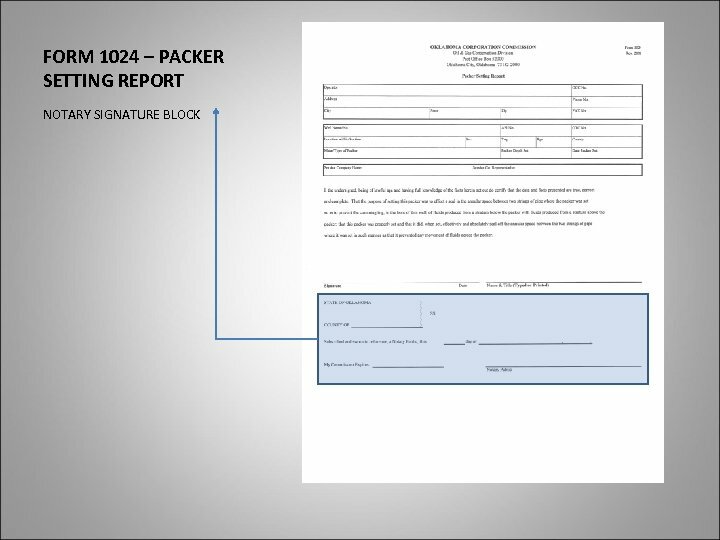 FORM 1024 – PACLER SETTING REPORT This presentation will assist you in the completion of the Form 1024. The packer setting report. 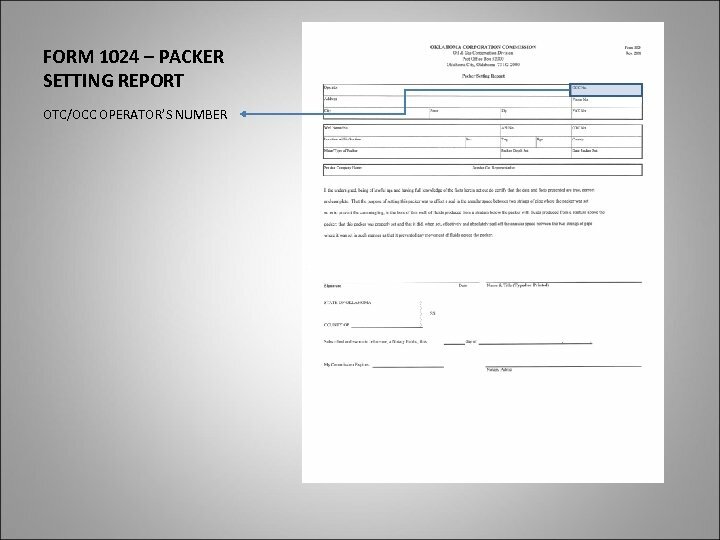 Date of Last Revision: 2001 Rule Requirement: 10 -3 -35 Explanation of Form: Operator will submit Form 1024 as required. [Reference 165: 10 -3 -35 and pertinent field rules] Question concerning this Form: For more information contact Geology Department at (405) 521 -6044.